Howard Hawks' "Sergeant York" explores the life and times of Alvin York, and tells the true experiences of this WWI war hero, who was a God-centered, Bible-living farmer from Tennessee, drafted into the army. 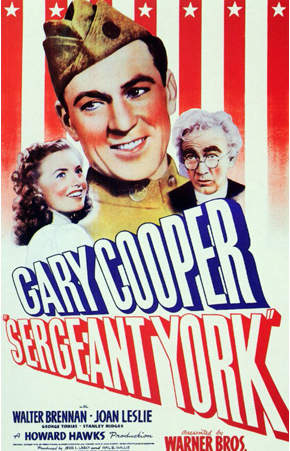 Gary Cooper stars in the Warner Brothers' motion picture, "Sergeant York". Despite his pacifist feelings, Sgt. York rose to the occasion to capture an entire German division, holding his unit's position, and saving lives. This 1941 classic film starts off by showing the audience York's close-knit, faith-based Tennessee country community, which is located in the old stomping grounds of Davie Crockett, and by exploring how Alvin became who he was before he was drafted. We see that Alvin York (Gary Cooper) was a poor farmer, trying to eke out a living by plowing and planting a rocky, poor-soiled hillside farm to support his widowed mother, Mother York (Margaret Wycherly), his brother, George (Dickie Moore) and his sister, Rosie (June Lockhart). To blow off his frustration, he would sometimes drink too much on the weekend, and sometimes disturb the evening church meetings, shooting up the trees around the church with his friends. Then, Alvin falls head over heels for the pretty Gracie Williams (Joan Leslie) a daughter of a bottomland farmer, after rudely chasing away her other suitor, Zeek (Clem Bevans). Alvin decides to try to scrape together enough money to buy a rich-soiled bottomland farm, so he could offer Gracie a life she was accustomed to, as his wife. The land owner selling this coveted plot of land gives Alvin a month to come up with the money. So Alvin, along with his regular farm chores, does a bunch of various, back-breaking jobs, often working into the night, in order to earn some cash. To win the rest of the money, he enters the area shooting contest, and puts his unique gift of marksmanship to good use, winning both sections. When he goes to buy the land a few days past the due date, the owner had already sold it to Zeek, who bought the land just to spite Alvin. 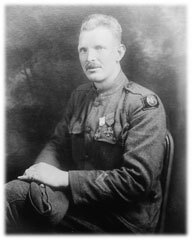 Alvin York goes to the local mountain bar, drinks a lot of booze, and decides to go and kill his foe. On the way down the mountain trail, in the middle of a storm, Alvin meets his God, in the form a lightening bolt, which melts his gun, and throws him from his mule. From that moment on, Alvin becomes a transformed man of faith, apologizing to Zeek for his former behavior, and wiping out the bad feelings between them. Under the leadership of the Pastor Rosier Pile (Walter Brennan) Alvin starts living his life according to Biblical teachings, growing his faith in God and His word. Despite petitioning the draft board, he was denied exemption from service because of his religious beliefs. Thus, he enters the army with a conscientious objector label on his record, which causes some trouble for him. However, the officers are willing to forget about his conscientious objector status, when York's expert marksmanship is exhibited on the shooting range, much to the utter amazement of his critical superior officer. But is Alvin willing to drop it? The film then explores how one man who is against killing reconciles his religious beliefs with serving his country in a war. The film transports the audience to a foxhole in France. Now a corporal, Alvin and his unit are ordered to take a German position, defended by machine guns, and hold it. Many are killed. After many twists and turns, his Superior officer is badly hurt, and Alvin becomes the leader of the few men left. By using his sharp-shooting skills, he single handedly picks off about 20 Germans, which causes the Germans to surrender; a whole division!! When he comes home to a ticker tape parade, he is offered money and fame, which he refuses as it doesn't seem right. He isn't proud of having to kill others, and many soldiers won't be coming home, including his dear friend, 'Pusher' Ross (George Tobias). He can't wait to go home to his friends, family, and his girl, to start sharecropping Zeek's land, in order to earn money to buy the bottomland farm. Boy, was he in for a big surprise, in this terrifically happy ending. The casting, direction, screenplay, and cinematography is top notch for a 1941 black and white film. The timing, the mixing of drama & humor, and the pacing of the film flows pretty well, under the expert direction of Howard Hawks, who also directed such film classics as "Bringing Up Baby," "The Big Sleep," "Gentleman Prefer Blondes," and "Rio Bravo." Due to both great direction and personal talent, Gary Cooper and fellow cast members do great ensemble work together, as well as individually. 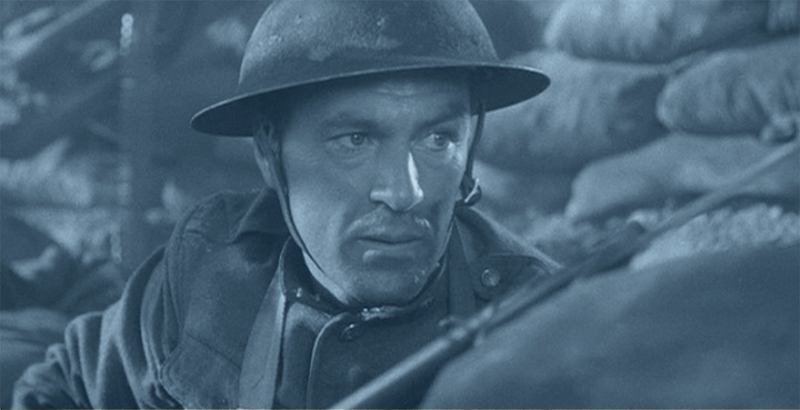 Gary Cooper excels in his role as Alvin York, and won the Best Actor Award for his performance, that shows convincingly how one man changes in reaction to events he experiences, that impact his life. How his growing spirituality and personal convictions evolve to new realizations, as he is led by his faith is fascinating to watch. Margaret Wycherly is best known for her outstanding performance as Mother York, and was nominated for the Best Supporting Actress. Walter Brennan convinces as Pastor Rosier Pile, and portrays a country preacher without flaw. Sixteen-year-old Joan Leslie plays Gracie Williams, and has great screen chemistry with Gary Cooper. George Tobias, a character actor who specialized in playing New York ethnic types, does a great job as 'Pusher' Ross, York's closest Army buddy. Screenplay: Harry Chandlee & Abem Finkel. This wonderful classic period piece should be enjoyable to most members of the family.